Meticulously hand crafted by skilled artisans. 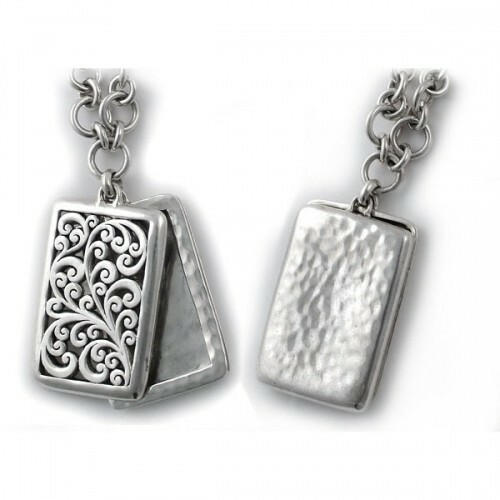 The heavyweight sterling photo charm swings joyously from a highly detailed unique sterling chain. The fern-like front of the charm is like open grille work on an antique Victorian gate. The chain is adjustable with a secure toggle closure. Order early limited quantities. Engraving not available on this item. Meticulously hand crafted by skilled artisans. 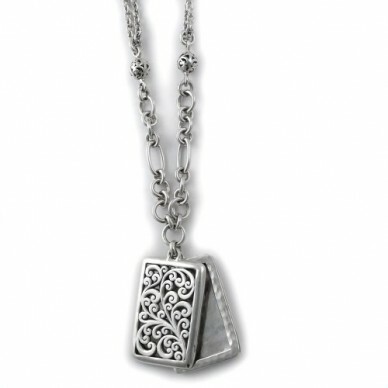 The heavyweight sterling photo charm swings joyously from a highly detailed unique sterling chain.